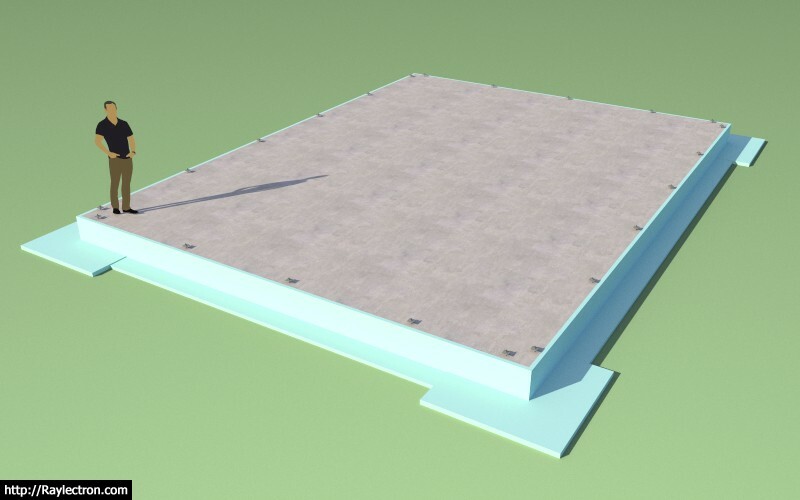 - Added polygon outline tool for slab-on-grade and slab. - Enabled perimeter rebar, anchor bolts, and slab reinforcement for (polygon) slab-on-grade foundations. 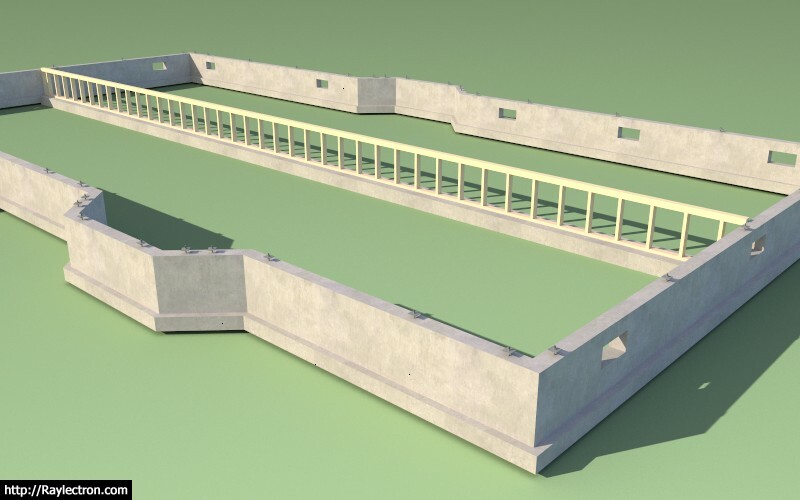 - Enabled slab reinforcement for (polygon) slabs. 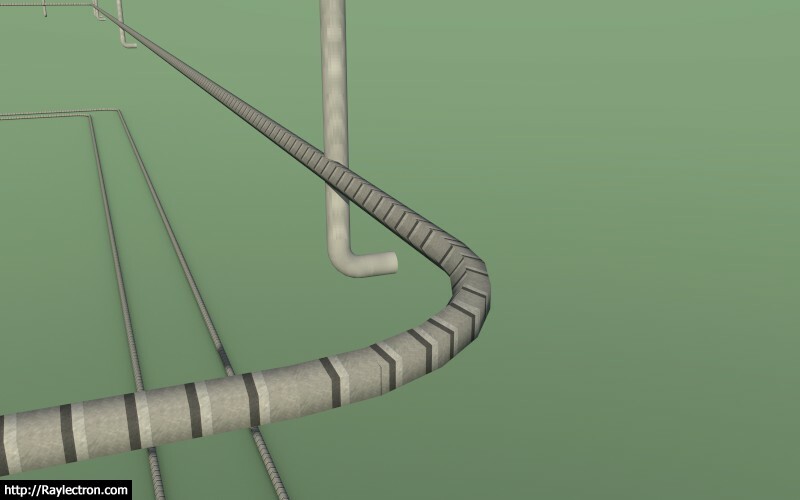 - Added polygon outline tool for stemwall foundation. - Enabled perimeter rebar, anchor bolts, vents, and internal footings for (polygon) stemwall foundations. The next improvement would be a web_diaolog input so that more than one internal footing can be specified at a time. 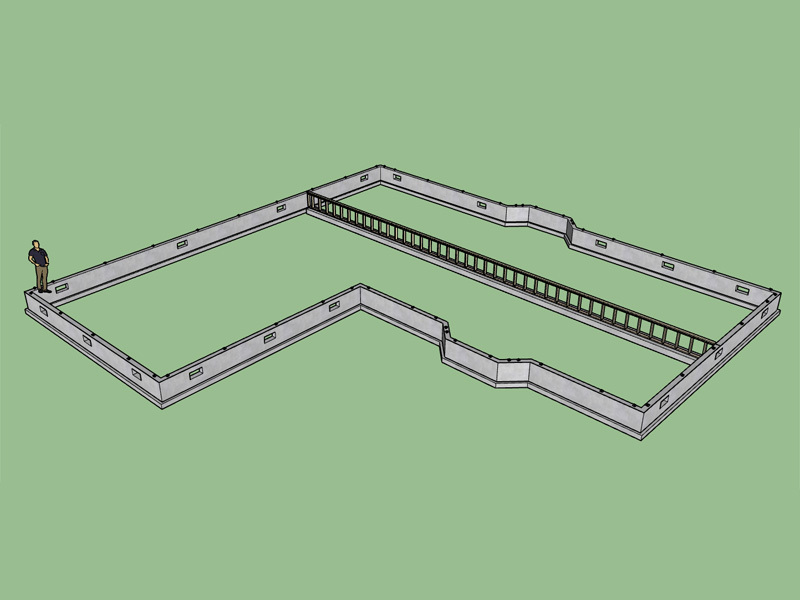 For this foundation I used the stemwall (rectangle and polygon) function and the slab (polygon) function. I had to trim the garage stemwall and also manually create the smaller interior post/beam assemblies. I also adjusted the position of some of anchor bolts once I cut the doors into the garage stemwall. 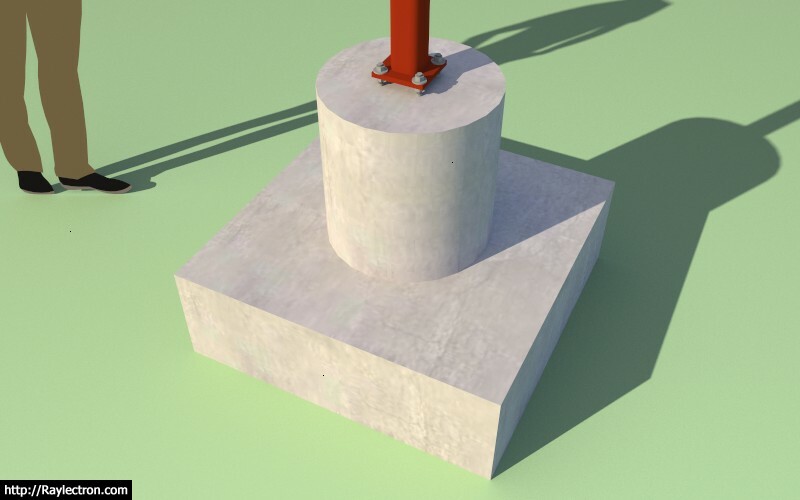 I'm still trying to figure out how to best add a concrete column module, I think it could gain some serious traction. This would cater more to the industrial rather than the residential side. - Added "Circle Segments" option within the global settings, rebar and mesh polygon counts can now be controlled. In this example I set the segment number to "5". The global setting circle segment number will default to 24. Have you considered adding insulation? We're planning on using a Frost-Protected Shallow Foundation because of it's cost, our zone 6 location, and the rocks and ledge we know are there. As the insulation thickness and extent vary with zone and occupied/unoccupied this has those two parameters, but is well-specified in the code. 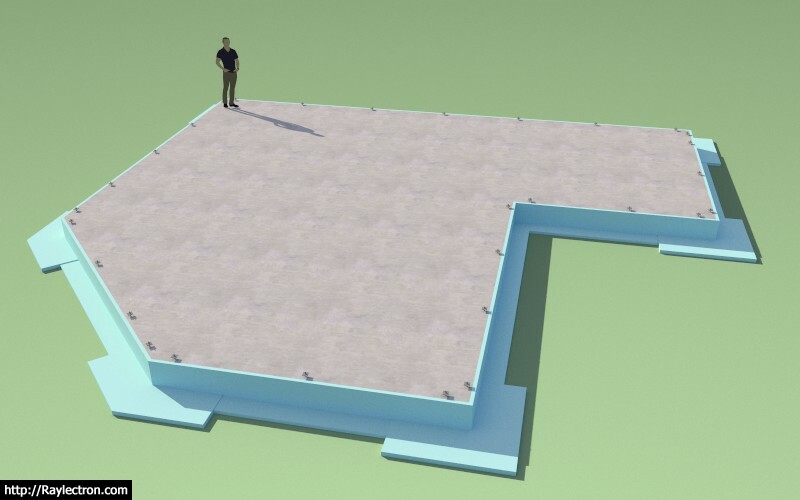 Here is an explanation with links: http://buildipedia.com/aec-pros/construction-materials-and-methods/slabs-for-colder-climates-part-1-the-how-and-why-of-frost-protected-shallow-foundations?print=1&tmpl=component. 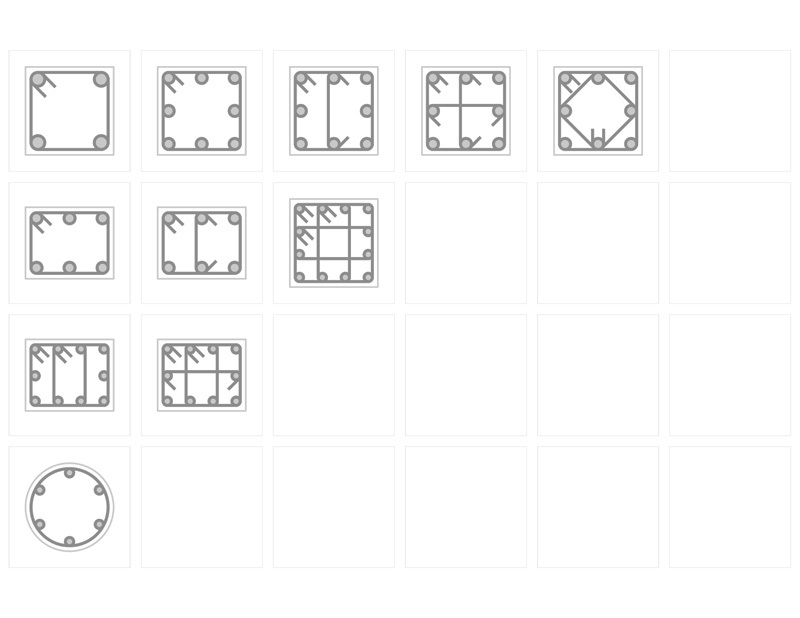 Additional complexity would come with unoccupied slabs (e.g. garage, front porch, patio) contiguous to an occupied slab. Edge insulation would be an issue too. If this is outside the bounds of your plans, please feel free to ignore it. Up until now I have not considered adding insulation but it probably would not be too hard to add in. I will do more research on FPSF. 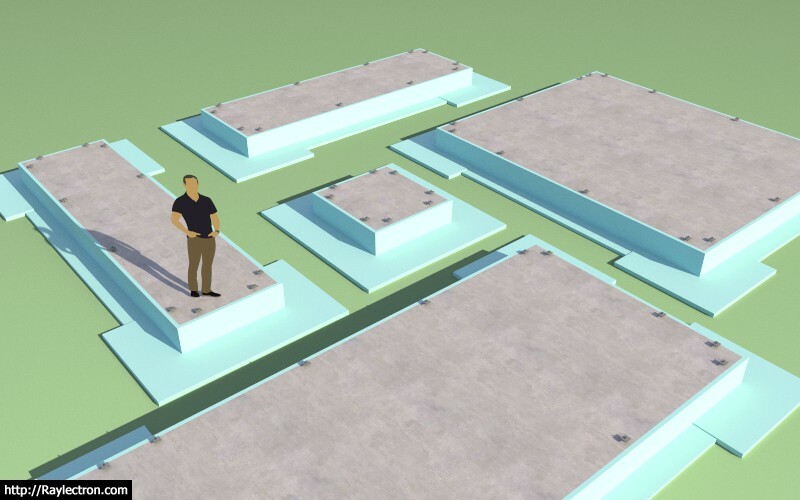 The rectangle foundation is easy, the polygon shaped foundation will be more challenging. An irregular shaped FPSF, note the 135 deg. corners. Once this angle becomes greater than 135 degrees I would probably just treat it the same as a straight wall. 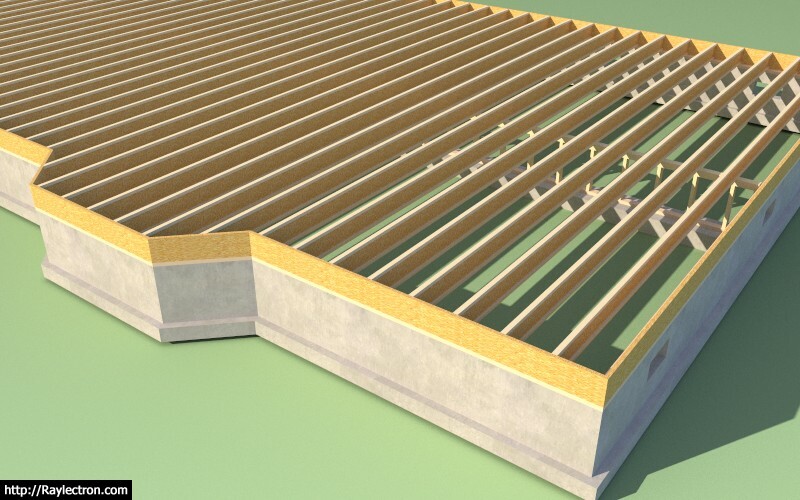 - Added "FPSF" option to rectangular slab-on-grade foundations. - Added an insulation layer in the global settings under the "Layers" tab. 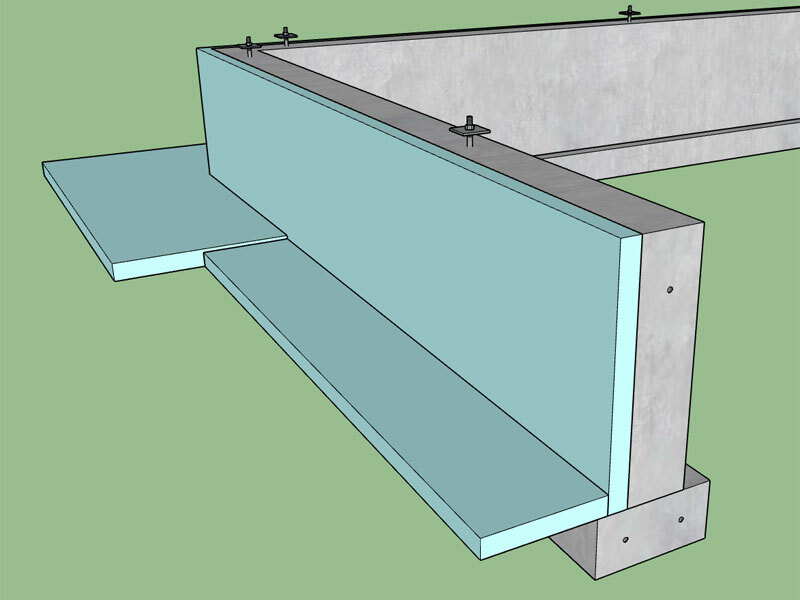 - Added "FPSF" option to rectangular stemwall foundations. Post Cap: Not sure what to do with this yet. 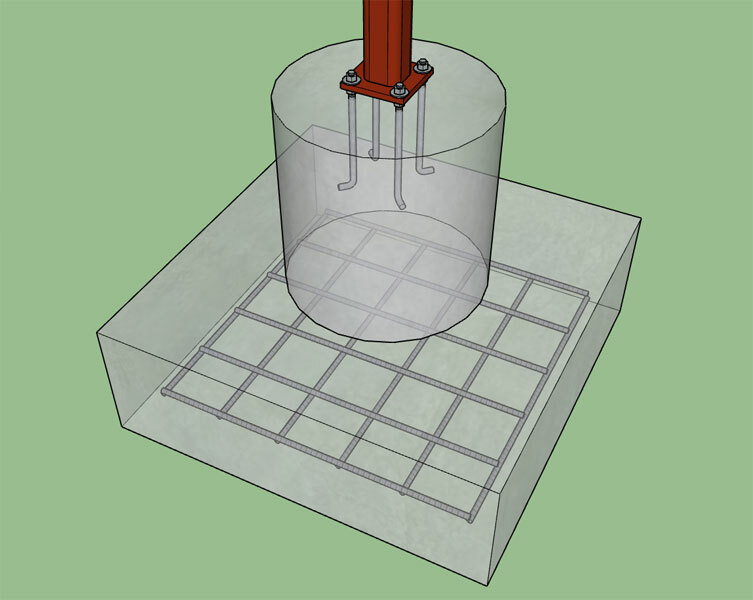 I've been contemplating using the Simpson Strong-Tie post caps and bases as provide in the warehouse but I'm worried that the polygon count is too high. I may have to generate my own dumbed down versions. Thanks for the FPSF additions, I'm looking forward to working with it.